The Vocal Aristry Training Series CDs help singers alleviate tension and build strength in their vocal registers. 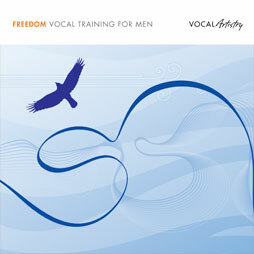 With both men’s and women’s versions, the CDs help all kinds of singers focus their vocal training on problem areas. I just wanted to express to you the effect your teaching has had on my life. Although I've been a musician for many years, my voice has always been difficult for me to begin working with. For twenty years, my voice lay dormant, as I was too afraid to sing. I couldn't accept the way I sounded to myself, let alone sing in front of other people. At a conference in New York, I attended one of your workshops. I made a decision... I picked up your Freedom, Strength I, Strength II, and Breathing CD's and began working with them. Within months, your tools had given me the necessary structure and inspiration I needed to conquer my own insecurities and begin building the foundation of the ultimate expressive instrument. I now sing all over the Northeast, and take great joy in being able to express myself through my voice. Your work has truly changed my life. ​Thank you for being part of this journey with me! Do you feel like your upper range has hit a “ceiling”? Are there parts of your range that frustrate you because you just can’t get your voice to do what you want it to? And what do you do with the break? The key to successfully building a flexible and versatile vocal range is to first isolate each register (chest voice and head voice) in their isolated forms, and build as much overlap as possible between them. 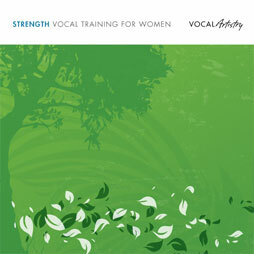 This CD provides exercises that will help you to build the strength required in each register in order to unleash the full potential of your vocal range. Every singer should know the confidencethat comes from vocal strength and control, in order to experience the thrill of connecting their heart to their songs and discovering the freedom of true vocal expression. 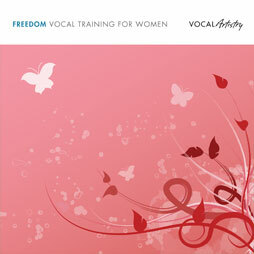 This CD will help you to identify the areas of vocal tension that are limiting your vocal range, strength and flexibility and will provide practical exercises that will help you to move beyond the barriers holding back your vocal potential. This CD will provide you with the tools you need to unleash power and range in your chest voice, and to do it in a healthy way, protecting your voice from damage and allowing you to sing at your best for a lifetime. 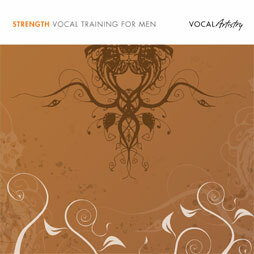 Building on the techniques presented in the original Strength CD, this CD will help you to extend your chest voice range by developing your blend, unleashing the full potential of your vocal range and strength. Breathing is energy for singing. This CD will provide specific, practical tools to help you to establish a technique for breathing that will unleash you voices’ full potential. The CD contains exercises that will introduce you to a unique breathing coordination used by thousands of professional singers. Then you will begin to develop strength and endurance in this breathing technique. And finally, you will encounter exercises specifically designed to help you connect this technique to breath support that will energize your voice to move beyond its current limitations and sing with Freedom, Strength, Expression and Style. ​The key to successfully building a flexible and versatile vocal range is to first isolate each register (chest voice and head voice) in their isolated forms, and build as much overlap as possible between them. 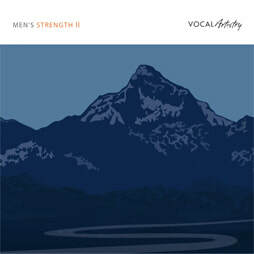 This CD provides exercises that will help you to build the strength required in each register in order to unleash the full potential of your vocal range. Breathing is energyfor singing. This CD will provide specific, practical tools to help you to establish a technique for breathing that will unleash you voices’ full potential. 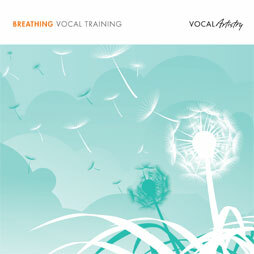 The CD contains exercises that will introduce you to a unique breathing coordination used by thousands of professional singers. Then you will begin to develop strength and endurance in this breathing technique. And finally, you will encounter exercises specifically designed to help you connect this technique to breath support that will energize your voice to move beyond its current limitations and sing with Freedom, Strength, Expression and Style.